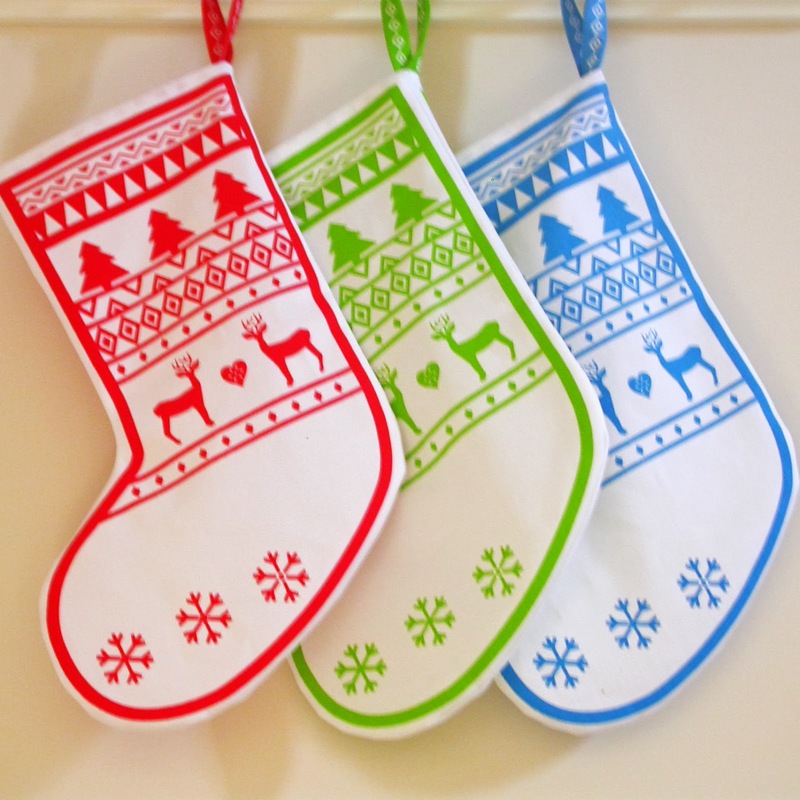 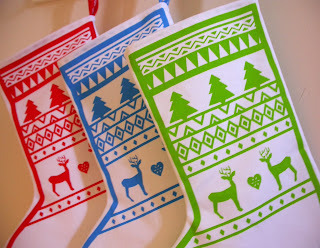 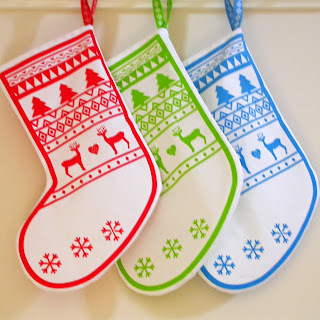 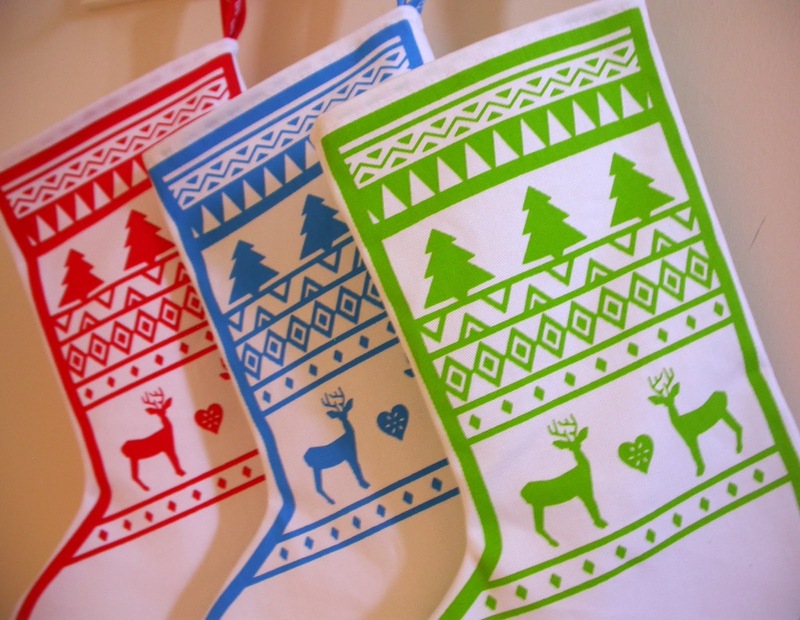 A Cheerful screen printed Christmas stocking with reindeer and Christmas trees to bring out the Christmas spirit. 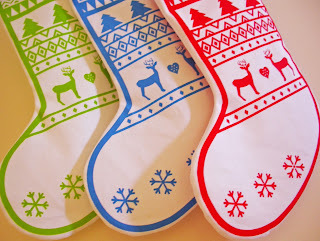 They can be filled with small gifts for all the family to delight them on Christmas morning. They are suitable for children, couples and families.